The Caribbean has long been the leisure traveller’s popular retreat. The draw has obviously been the year round warm tropical climate and inviting beaches. Island accommodation and activities have been widely and successfully advertised over the years targeting this niche market. By extension we are very popular for island weddings and honeymoons and this has given rise to a number of bridal expos being hosted by the various destinations which serve as a wedding planner’s customized FAM (familiarization) trip. 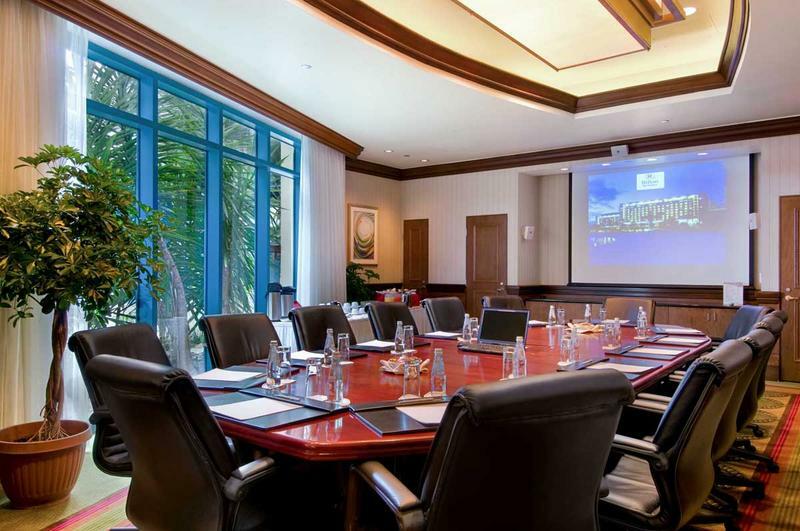 But how great a job have we done at providing the business traveler or international planner with information on our conference and meeting facilities or our vast number of highly experienced event suppliers? Have we made a valiant enough effort to package these details in a format as well as make them easily accessible so that the extremely busy planner gets the timely and accurate information that they need on the region? Are we adequately supporting our destination management companies and event planners in the Caribbean by providing them with cost effective avenues to network with and potentially partner with these international planners? Have we utilized the resources and websites (e.g. 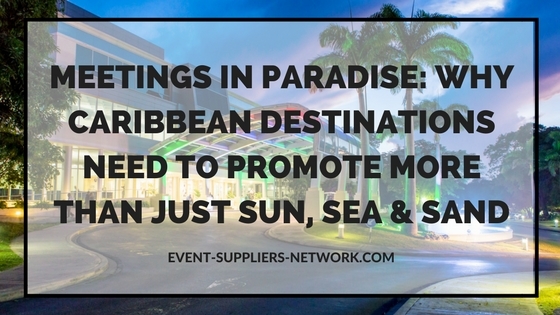 Caribbean Event Suppliers Network and Meet In The Caribbean Magazine – a shameless plug 🙂 ) available on the internet or even harnessed the power of social media to connect with the event professionals from around the world? From my observation, some of the destinations have led the way in this regard and we can see the benefits of their efforts. Those which readily come to mind are Jamaica, Bahamas, Aruba and Puerto Rico. However, I am witnessing destinations such as Barbados, Bermuda, Trinidad, St. Lucia and Cuba having a more focused approach with the establishment of convention bureaus or groups, better educating the travel or event planner on the options available, a more visible presence at such international events as IMEX, iBE Expo and IncentiveWorks, and the creation of promotions all geared towards the corporate/event planner. This is truly encouraging. We would like to hear from those in the Caribbean on how your destination is reaching out to the meeting and event professionals. International planners, give us some feedback on how the Caribbean is doing in promoting our region as a meeting and conference destination. Share with us in the comments section below. All comments and opinions expressed are solely those of the writer.